This fun Police Costume Kit is perfect for Uniform themed fancy dress occasions. A complete outfit including Vest, Mock Shirt, Hat and Handcuffs. Show fellow party-goers who’s boss with this fun Police Costume Kit, including Vest, Mock Shirt, Hat and Handcuffs, perfect for any Uniform fancy dress occasion. 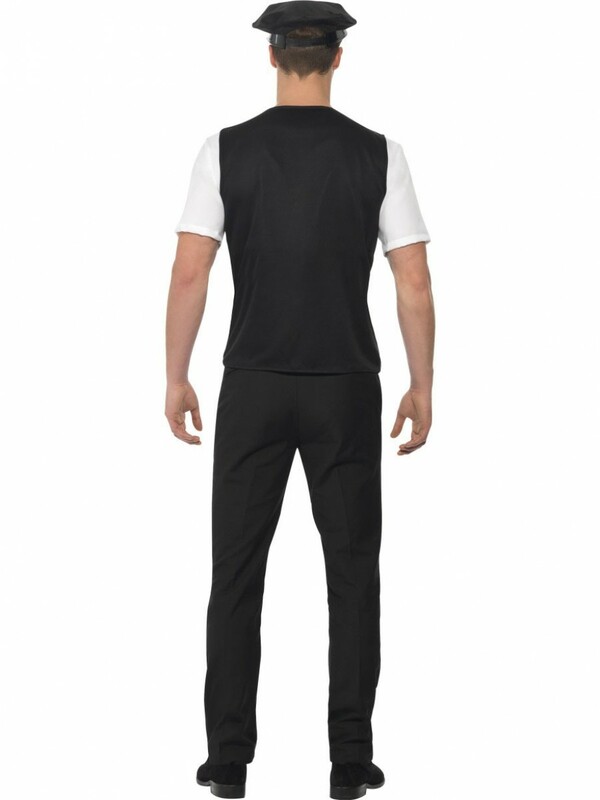 The black vest has a bold ‘POLICE’ print on the front, the vest also has an attached white shirt front, and this is in the style of a short sleeved top and has a black tie to make this Police Costume Kit look as close to the real thing. Also included in this great kit is a black hat with a chequered police print around the base of the hat, which also has a black shiny rigid peak. No Policeman can go on patrol without any handcuffs, a pair of silver metal-look handcuffs are included! 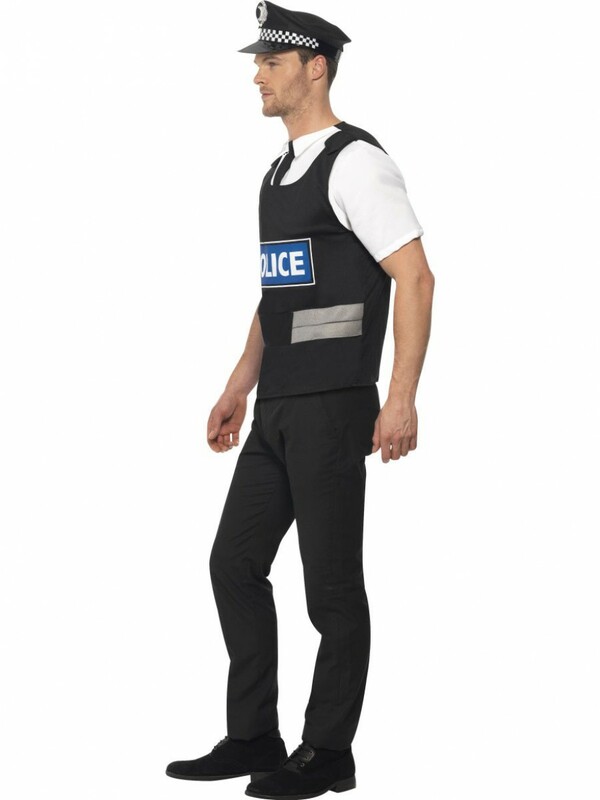 This fun Police Costume Kit is ideal for any Uniform themed fancy dress occasion! Police Costume Kit including Vest, Mock Shirt, Hat and Handcuffs.